In the lawsuit, Des’ree and her reps claim that Beyonce, along with her record company people, originally tried to work out a deal to use the song. When they weren’t satisfied with the proposed terms — which included not being able to change the title or make a music video for the song — Beyonce allegedly blew off copyright law completely, and recorded the song and video without permission. The song was eventually released on Beyonce’s album, "B’Day – Deluxe Edition" on April 3, 2007, with the title "Still in Love (Kissing You)." Des’ree is suing to halt distribution of the song, video and album and seeking at least $150,000 in damages. I use to like the Des’ree version ‘kissing you’ remember it from the movie Romeo & Juliet, and they played it in the scene when Leo first sees Juliet, Classic! 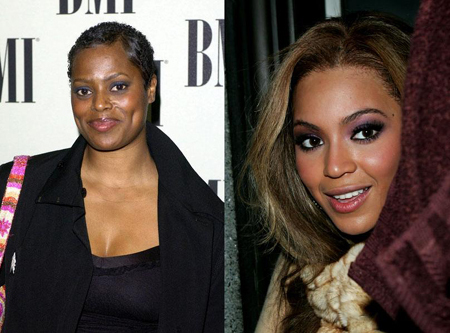 But I think Des’ree’s version is better you be the judge.